The beatification was also possible thanks to the approval by the Congregation for the Causes of Saints of the miracle, through the intercession of Mother Clélia, the physician Pedro Ângelo de Oliveira Filho, a Brazilian from Ribeirão Preto (SP). Cardinal Giovanni Angelo Becciu, Prefect of the Congregation for the Causes of Saints, presided this morning (03.11) in the Basilica of St John Lateran, home of the diocese of Rome, to the Holy Mass of Beatification of Mother Clelia Merloni, Foundress of the Institute of Apostles of the Sacred Heart of Jesus. Clélia Cleopatra Merloni was born in Forlì, Italy, on March 10, 1861. As she grew older, she was always more attracted to prayer and intimacy with God than to elite social life or to run the family business, according to the wishes of his father. An intelligent woman, endowed with many qualities, she responded with great generosity to the call of God, consecrating herself totally to God in the consecrated life. 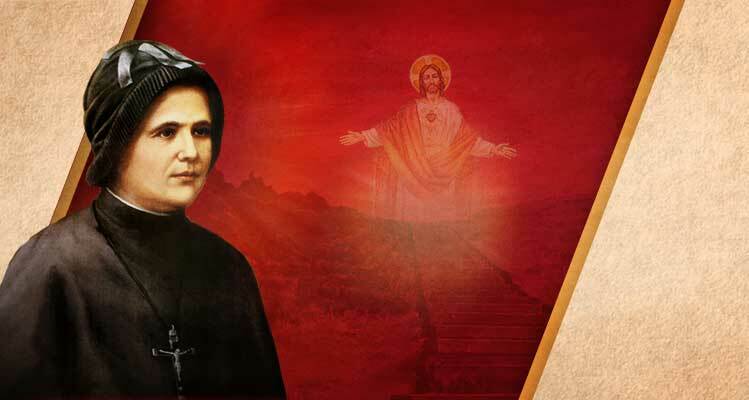 On May 30, 1894, Mother Clelia founded the Institute of the Apostles of the Sacred Heart of Jesus, placing at the service of the most needy and marginalized all her charismatic potential, her energies, her apostolic zeal and the considerable inheritance left by her father. At the turn of the 19th century to the 20th century, he sent the first Missionary Apostles to the Americas and Abroad. Mother Clelia's ideal of life was the Holiness: "I want to be holy," he said, to fully and completely fulfill God's will, along with his religious daughters. In this journey, he had to go through times of purification and face difficult trials, such as deep humiliations, physical, moral and spiritual pains. However, she accepted everything with love and for the sake of the Sacred Heart of Jesus, to which she had dedicated her whole life. Mother Clelia died in Rome on November 21, 1930. Her body, exhumed in 1945, was found incorrupt, and rests in the Chapel of the General House of the Apostles of the Sacred Heart of Jesus in Rome. The Institute of the Apostles of the Sacred Heart (IASCJ) is present in 15 countries and has a strong presence in Brazil. The Congregation for the Causes of Saints, with the medical board of specialists, bishops and cardinals, approved the miracle, through the intercession of Mother Clélia, the physician Pedro Ângelo de Oliveira Filho, a Brazilian, from Ribeirão Preto (SP). Until then, the patient could not swallow anything, until, moments later, they realized that he swallowed the water and did not lose saliva any more. Everyone was amazed at the patient's rapid improvement. The next day, the doctor went to visit Pedro Ângelo and, seeing that he was completely healed, exclaimed that it was a miracle! After 25 years of the miracle, Dr. Pedro Ângelo died, on September 25, 1976, for a cardiac arrest.